Having visited Warrington and then spent a day at the SVR gala, it was off to see my Brother and his missus for a few days, with a little bit of photing thrown in, with a view to getting the Westerleigh tanks workings. 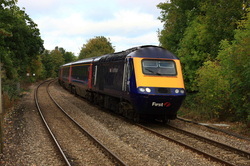 As well as Bristol Temple Meads, there are shots from Cam & Dursley, Cheltenham and Gloucester taken over 5 days. 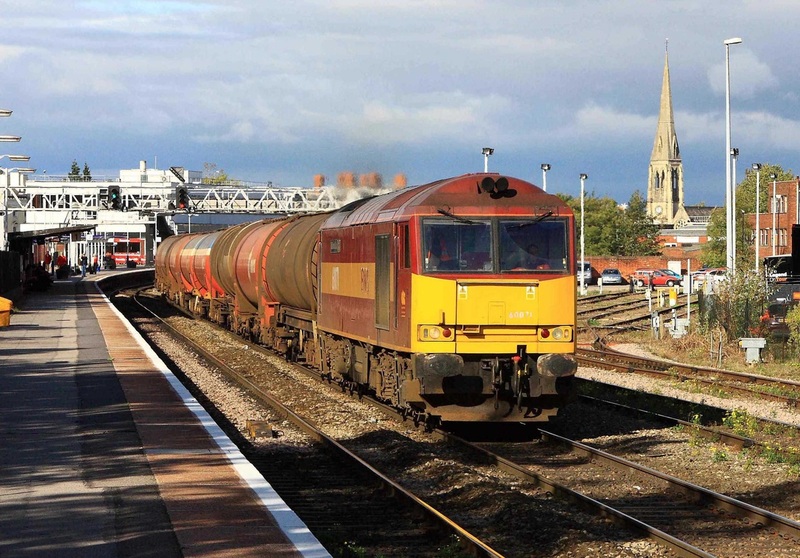 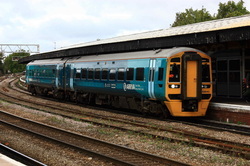 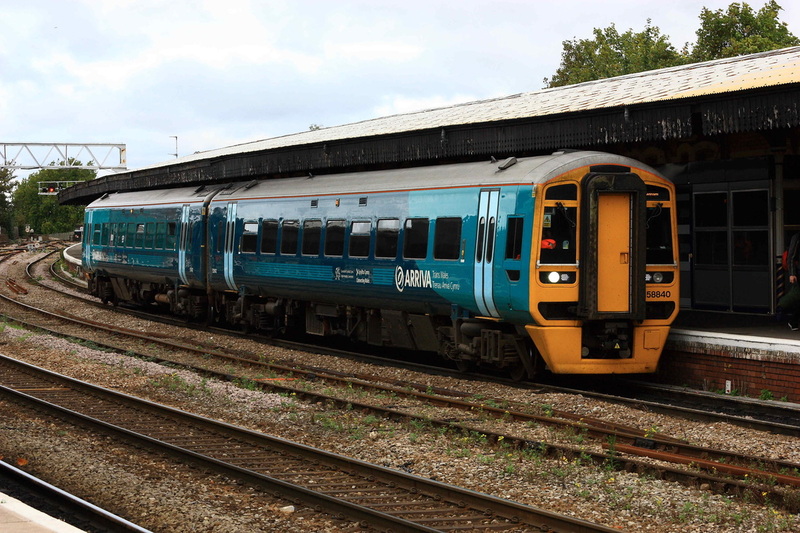 Arriva Trains Wales 158840 stands at Gloucester with a service to Cheltenham. 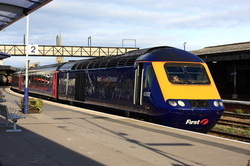 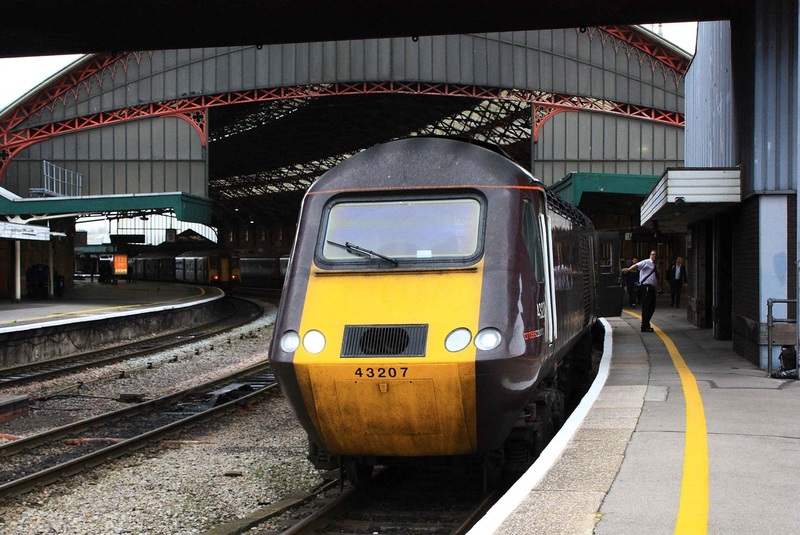 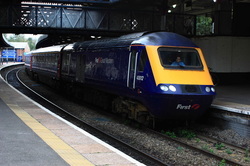 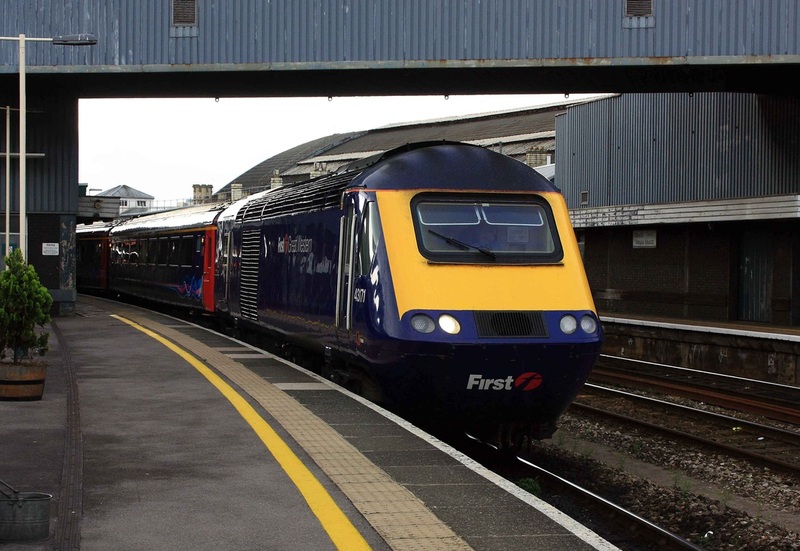 First Great Western 43171 stands at Bristol with the 13.00 departure to Paddington. 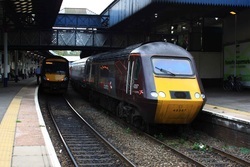 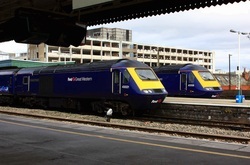 43021 and 43159 stand at Bristol, on the rear of the Paddington services which departed at 13.30 and 14.00. This 60 seems to be following me around, as I have shots of it at Ribblehead and Warrington. 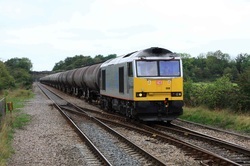 60071 runs south through Cam & Dursley, with 6B13 Robeston-Westerleigh tanks. 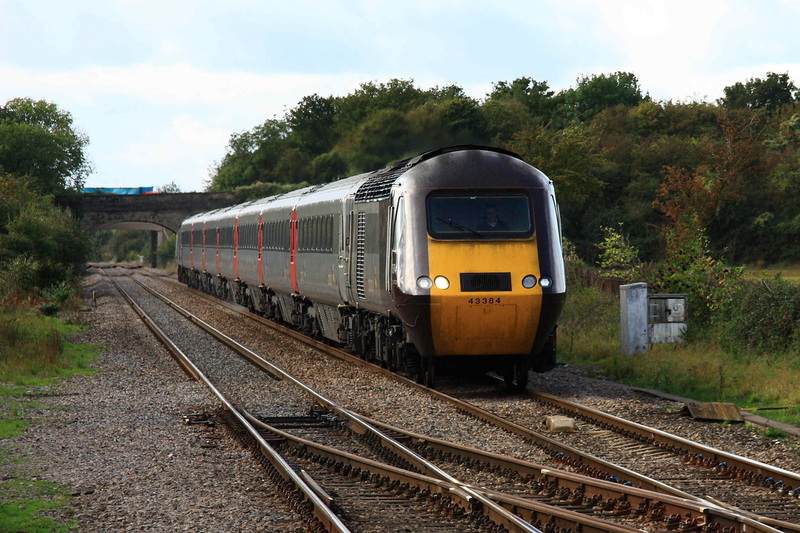 By the time I got to Cam, the light had improved quite dramatically. 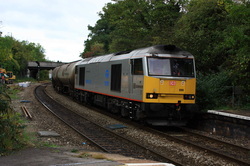 Ta-Ta livery 60099 approaches Cam with the 6E41 Westerleigh-Lindsey O.R. working. 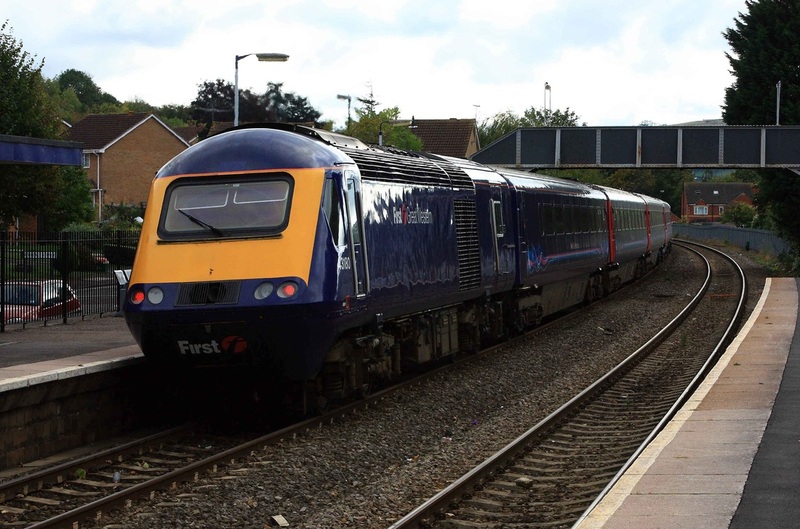 X Country HST 43285 rushes through Cam, as 6E41 rumbles north. 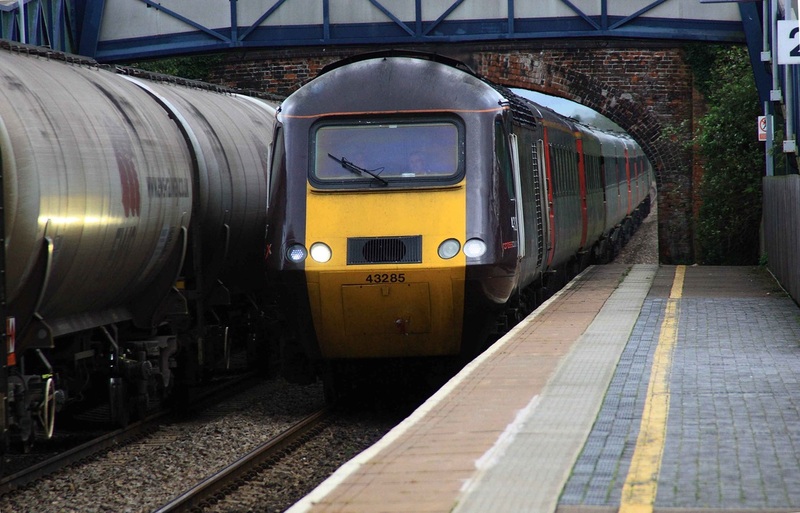 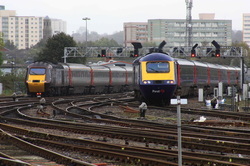 The same day, and 43207 stands at Bristol with 1S55 15.30 departure to Edinburgh which had originated at Plymouth. FGW 43182 awaits departure from Gloucester for London Paddington in the sun. 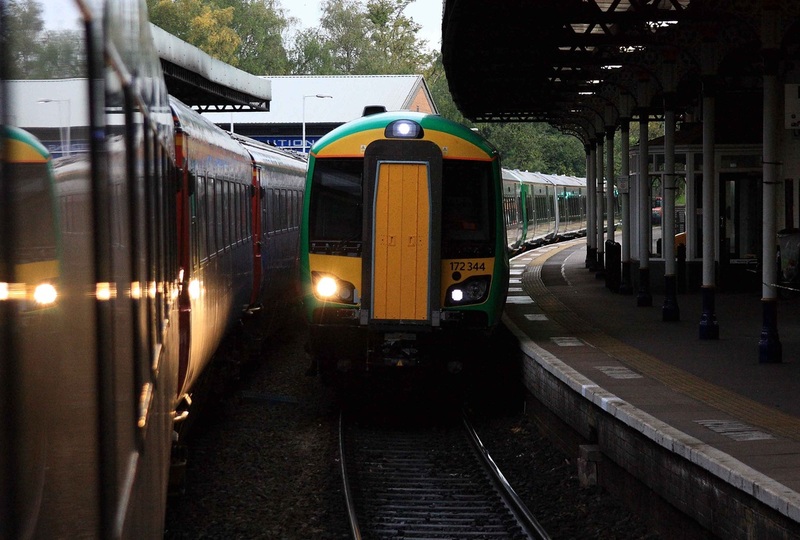 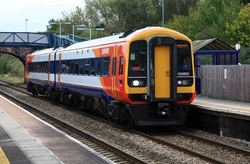 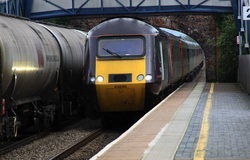 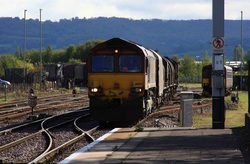 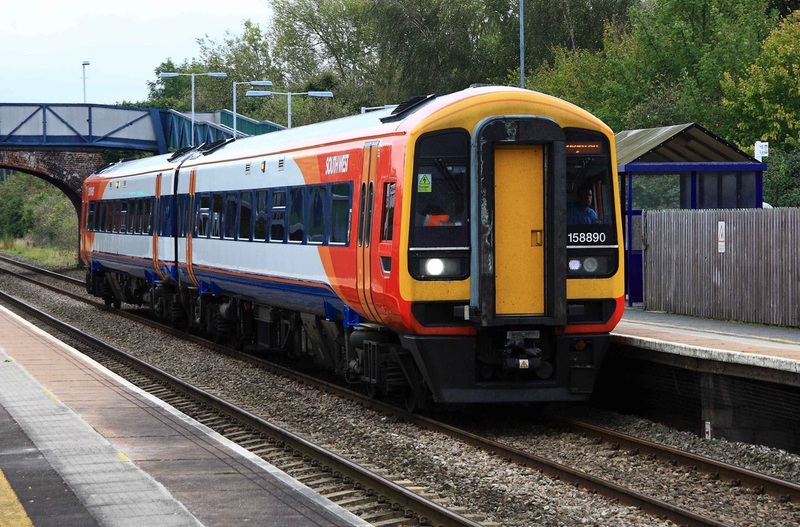 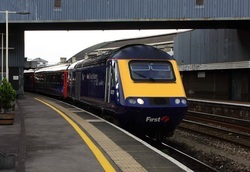 This service originated at Cheltenham. 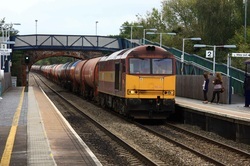 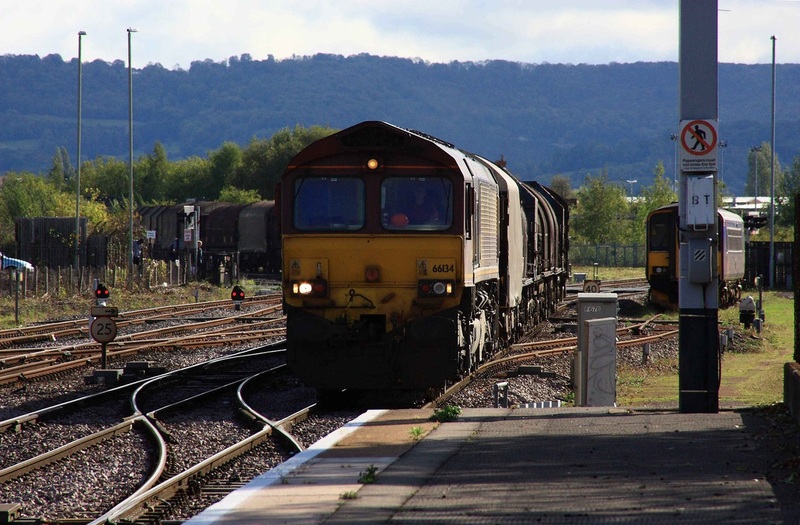 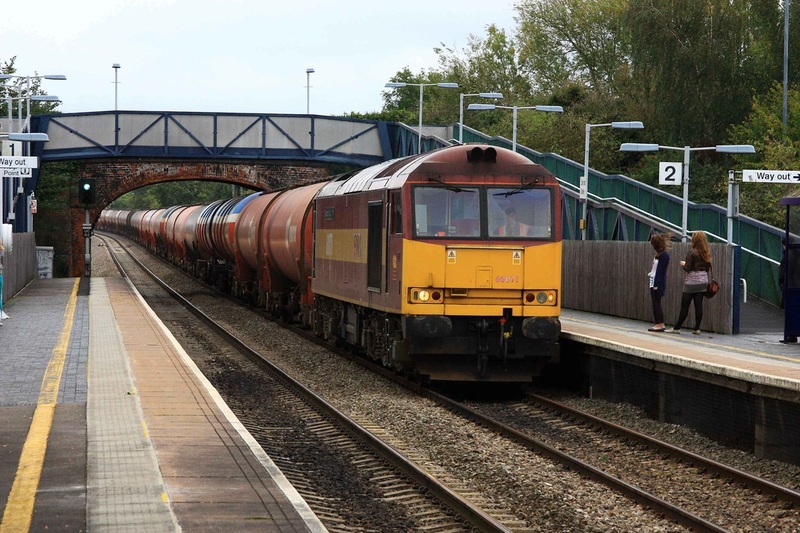 60071 storms through Gloucester with 6B13 to Westerleigh. 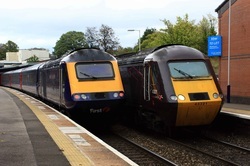 Contrasting Liveries with X Country 43321 and FGW 43018 as they stand side by side at Cheltenham. 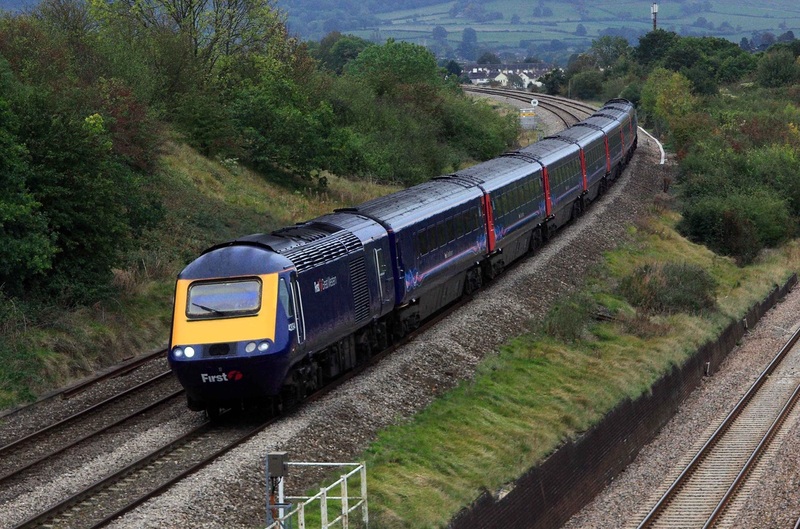 The FGW service had ended it's journey here and would run to the loop just to the north of the station before forming the return back to Paddington via Gloucester. 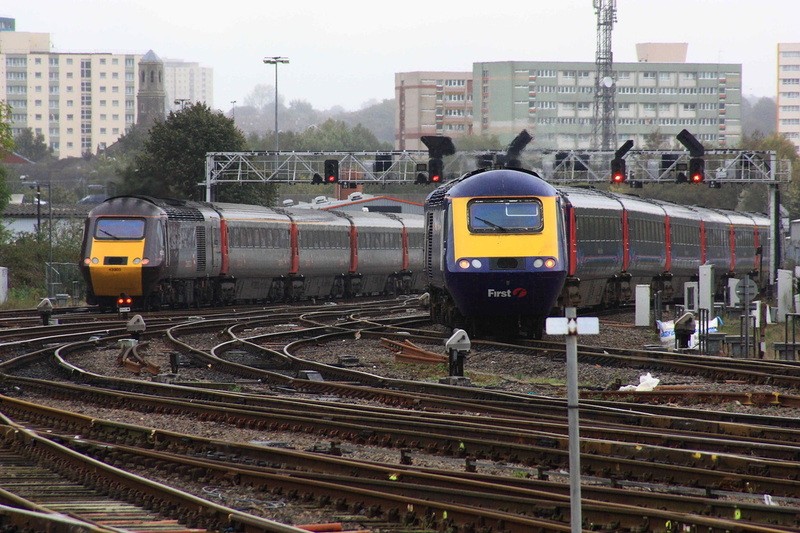 43321 however would continue to Plymouth, before returning north with 1E63 to Leeds. 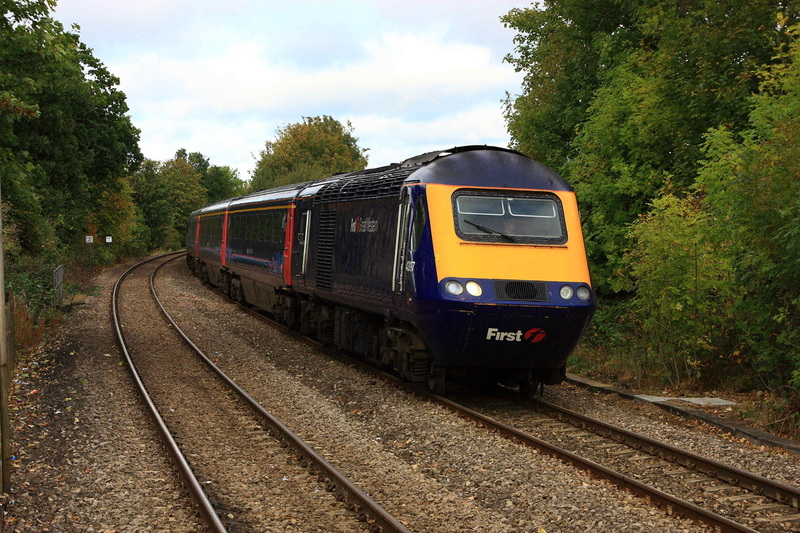 43197 enters Stonehouse station with a Paddington bound service. 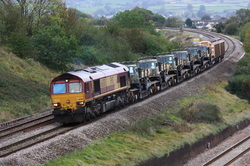 And on the back was 43180.